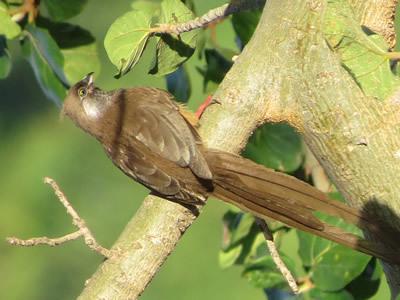 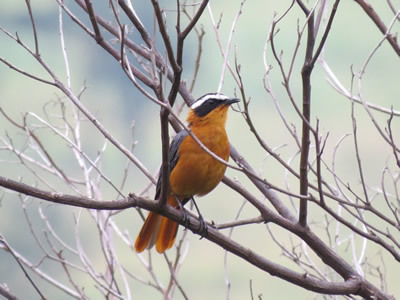 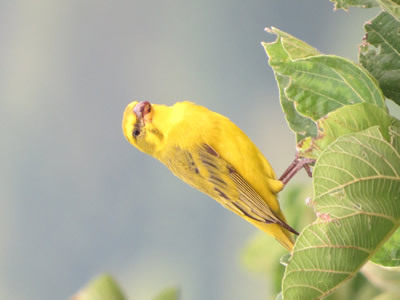 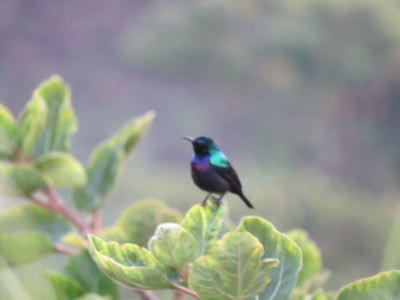 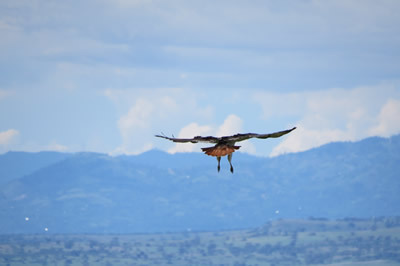 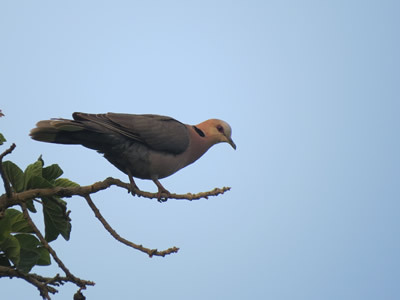 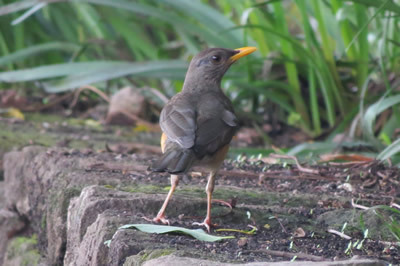 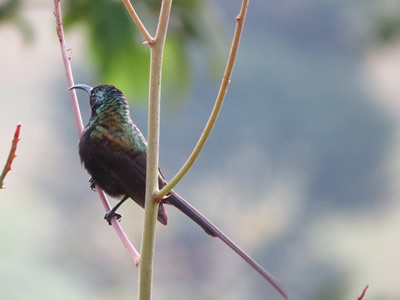 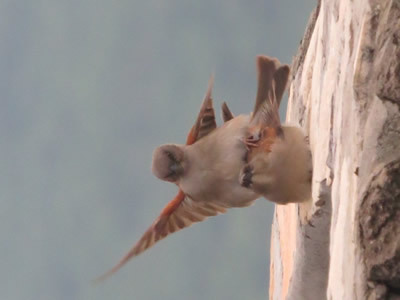 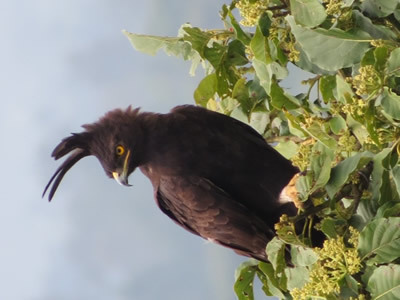 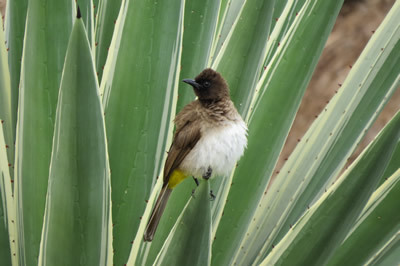 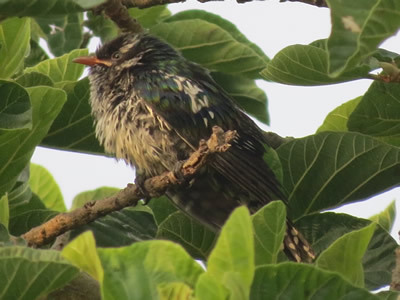 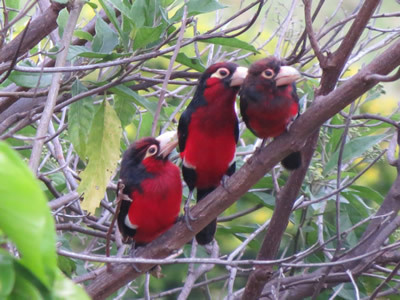 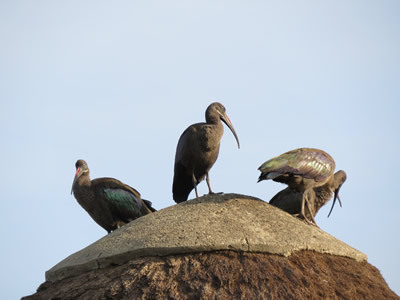 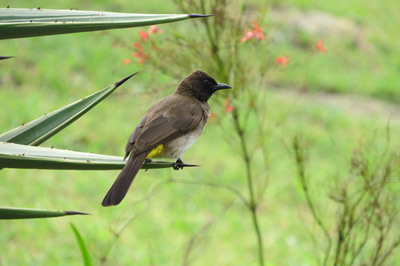 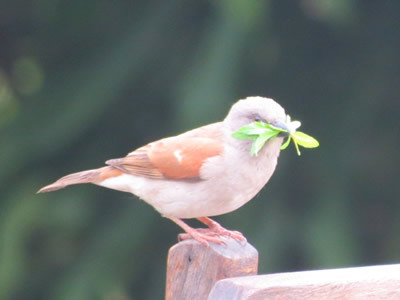 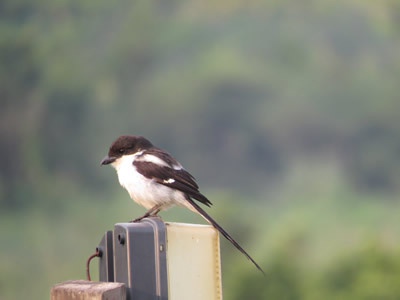 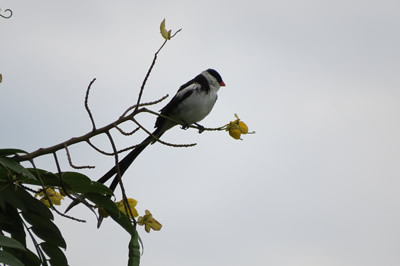 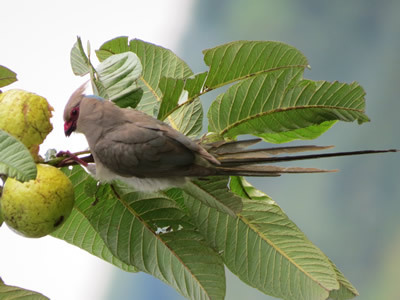 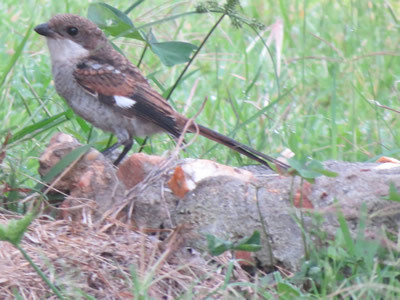 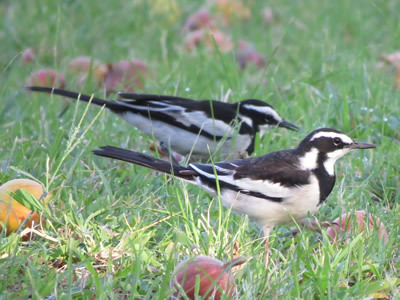 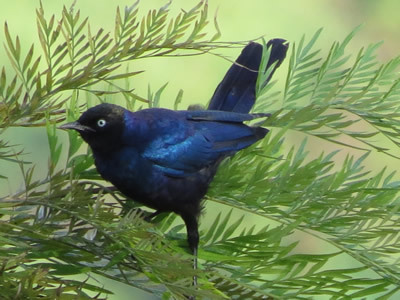 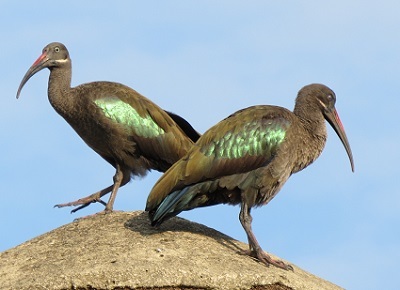 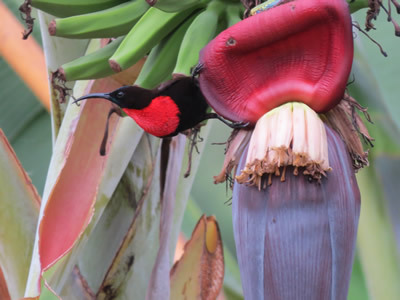 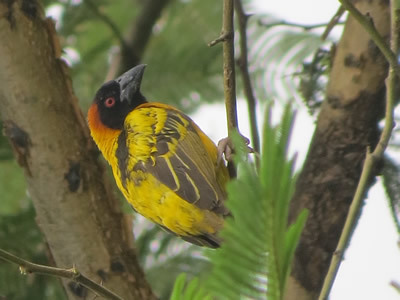 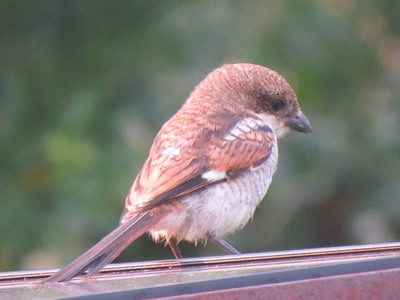 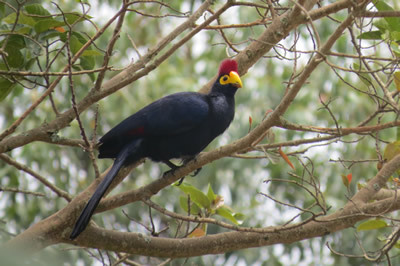 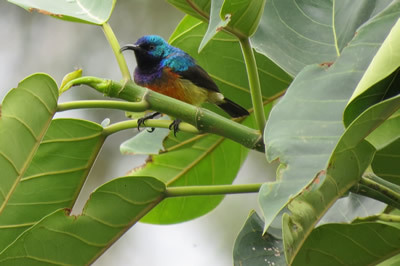 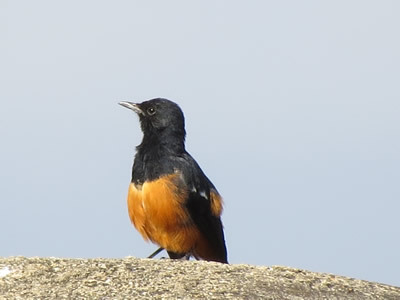 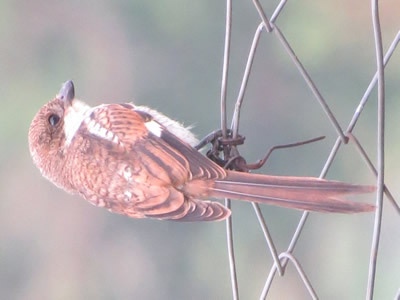 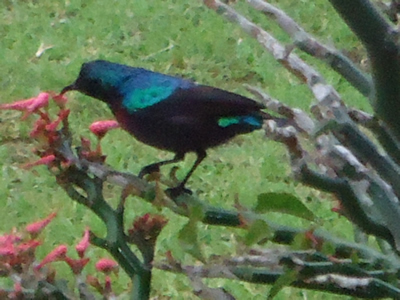 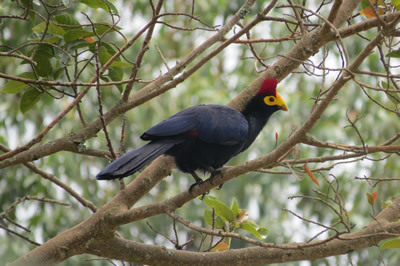 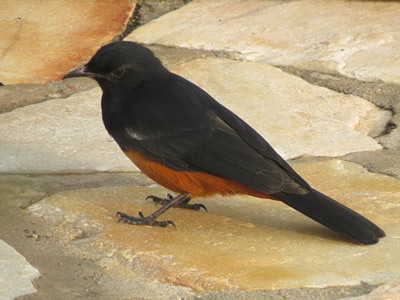 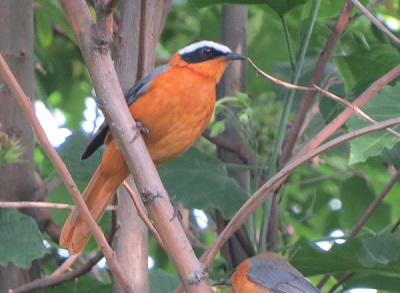 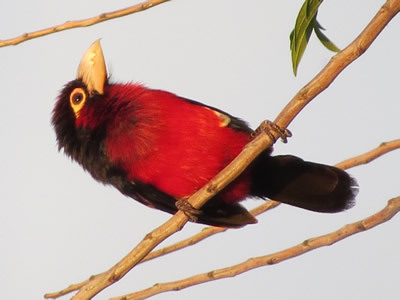 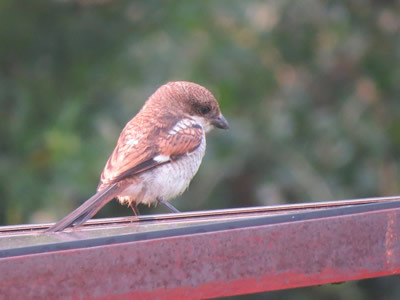 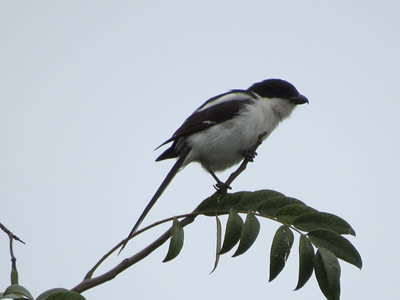 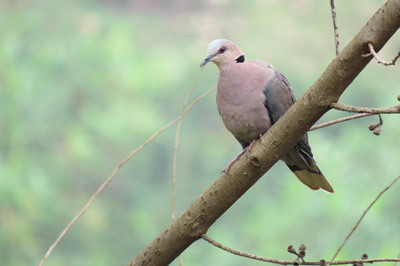 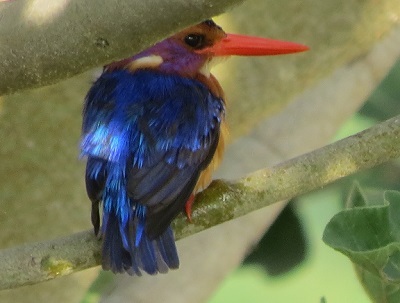 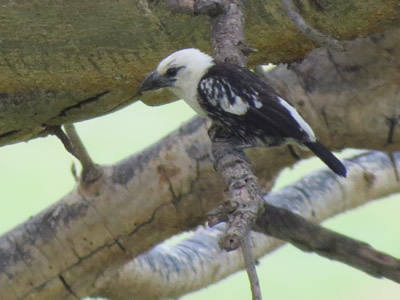 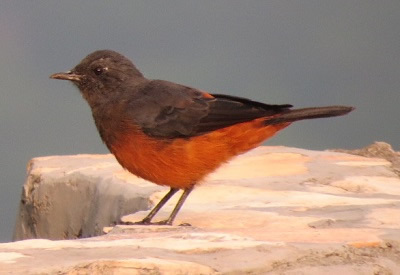 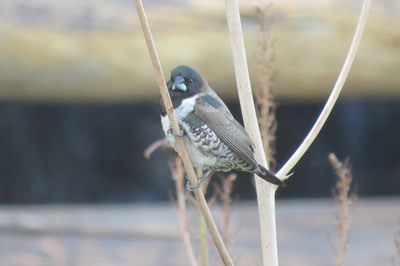 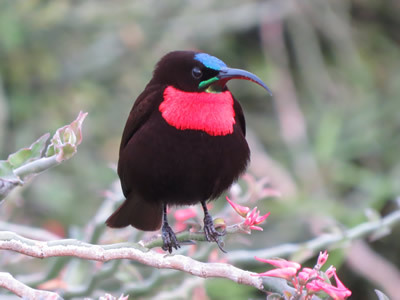 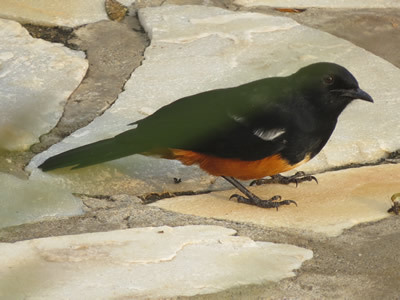 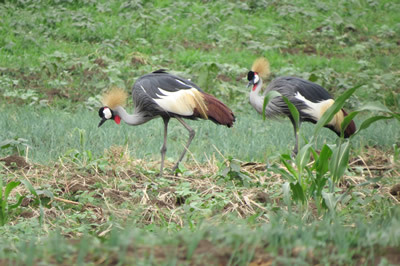 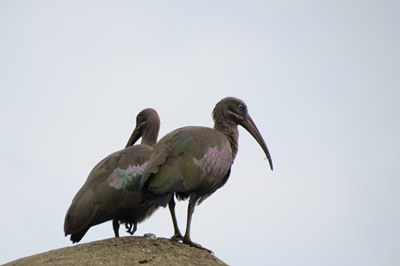 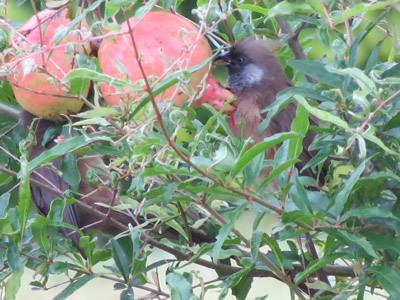 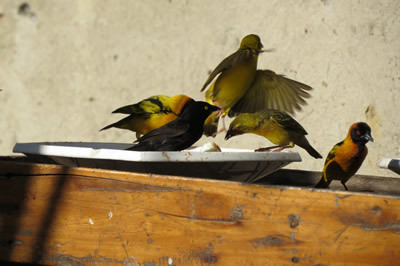 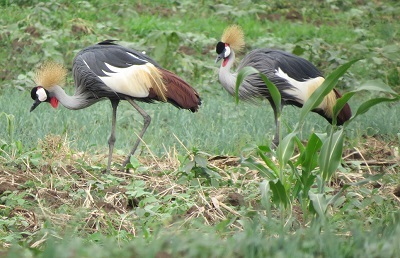 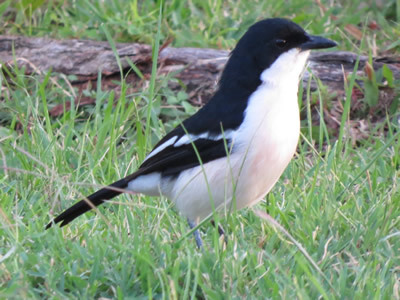 Birdlife at Katara - Katara Lodge Katara Lodge is situated on the Great Rift Valley escarpment with uninterrupted views of the savannah, Lake Edward, Virunga, Rwenzori mountain ranges beyond in Uganda. 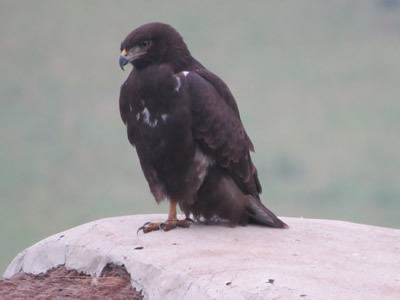 Large brown eagles are regularly seen exploiting the thermal upwinds along the escarpment, and at times can be seen perched on top of the cottages. 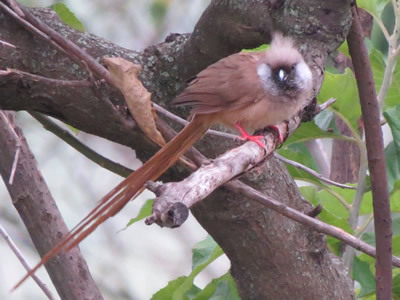 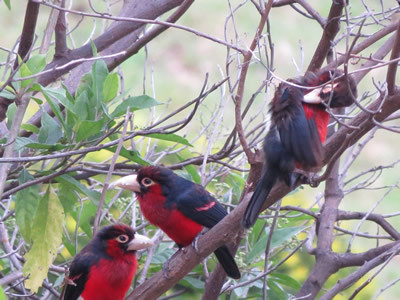 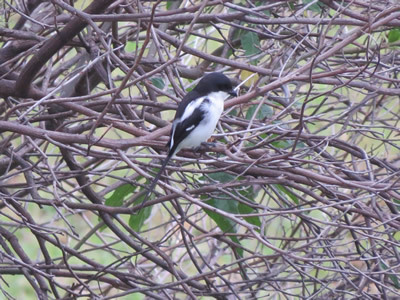 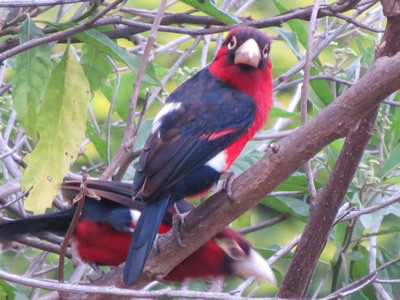 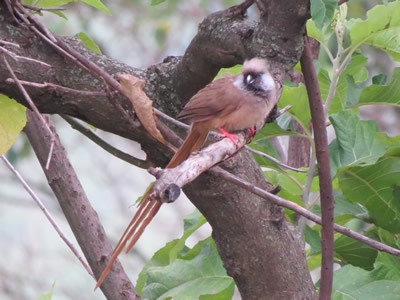 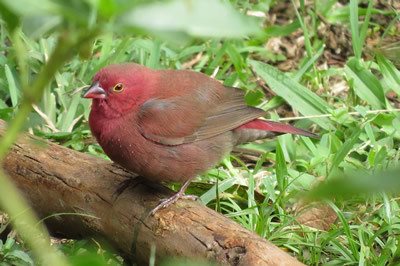 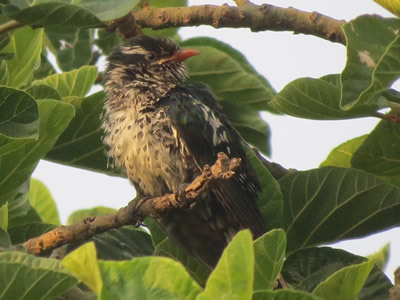 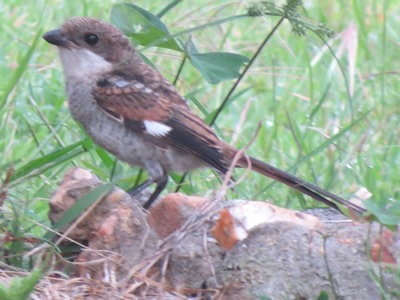 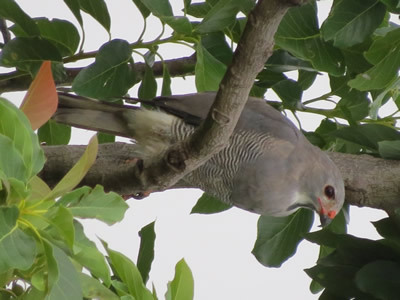 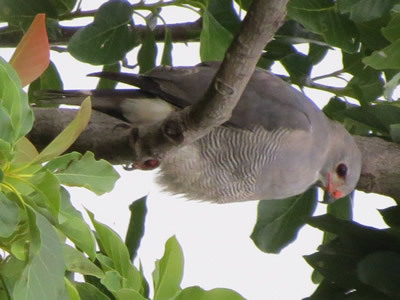 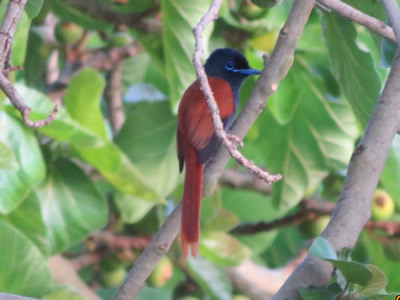 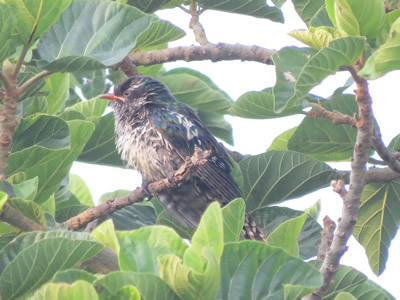 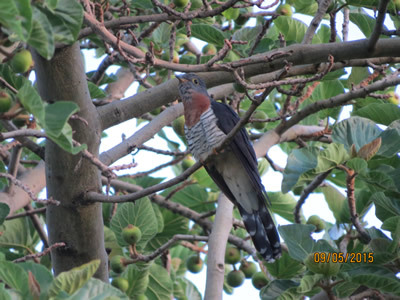 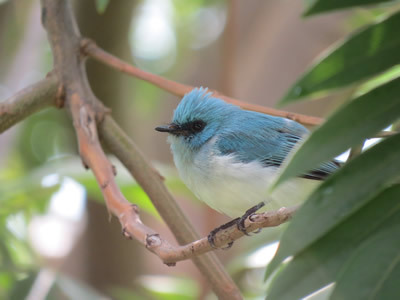 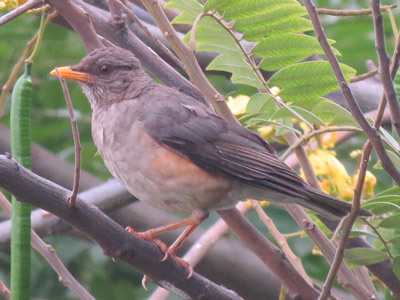 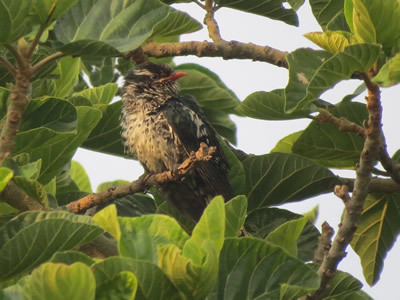 Scrambling through the bushes and trees on the Katara Lodge compound, one can see barbets, firefinches, fly catchers, long tailed mousebirds and different types of cuckoos, that are benefiting from the ubiquitous presence of scrub-robins and robin chats. 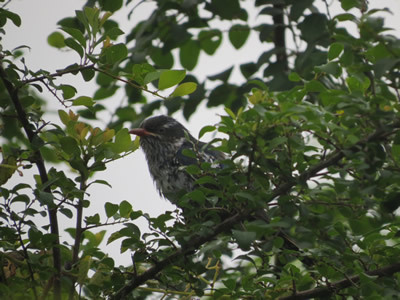 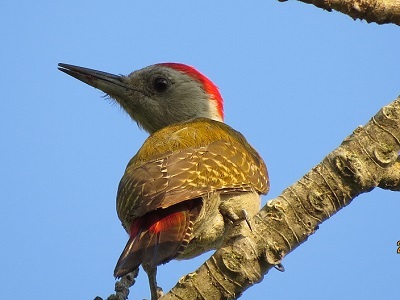 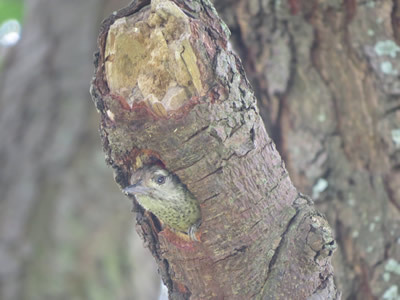 Three different types of woodpeckers have been spotted so far. 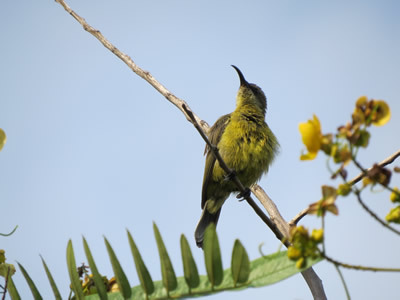 A number of different sun birds are frequently seen hovering around the tropical plants in the restaurant area and the car park. 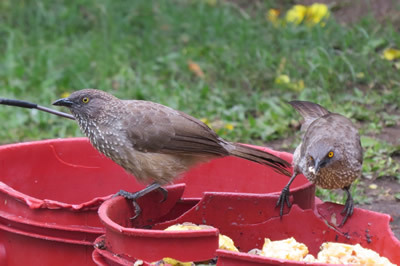 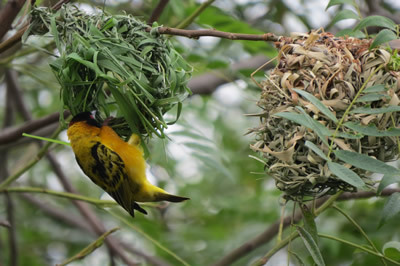 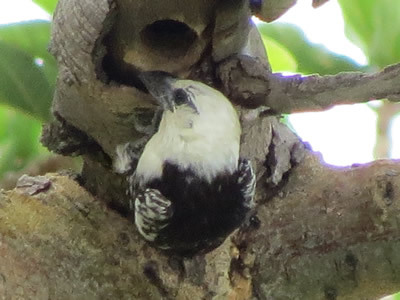 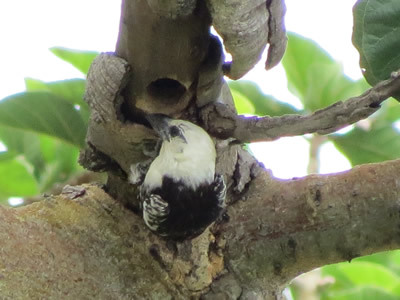 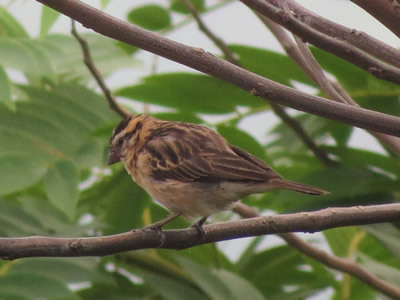 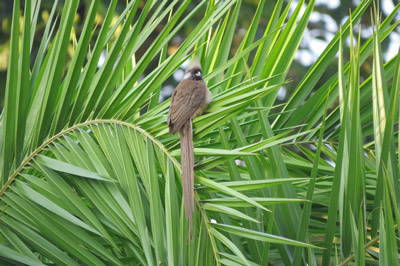 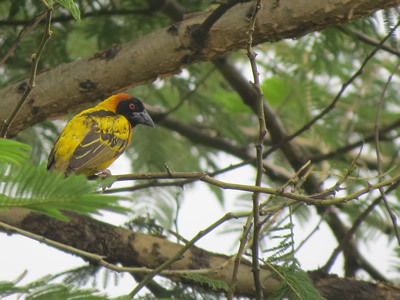 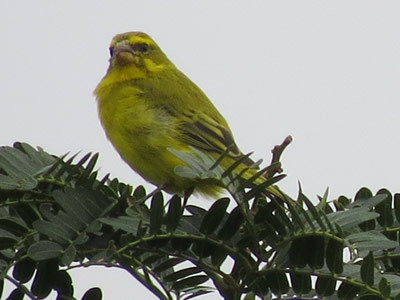 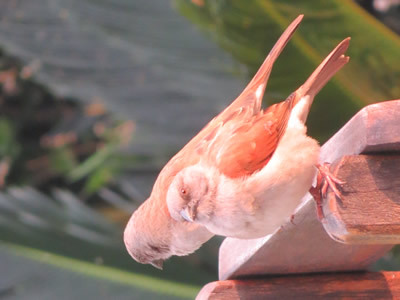 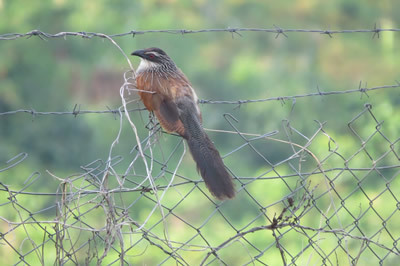 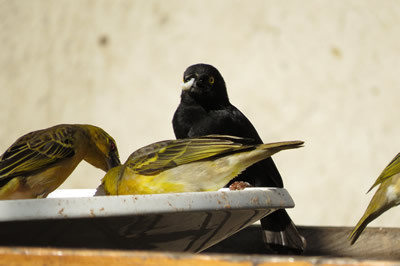 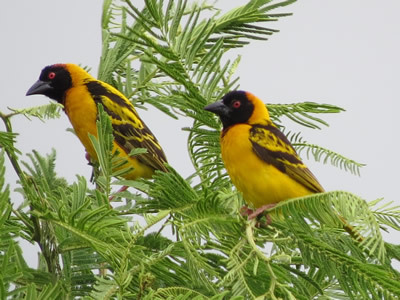 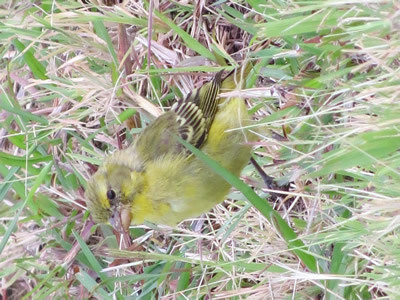 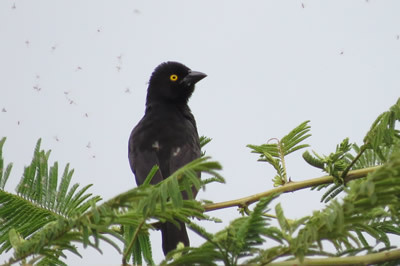 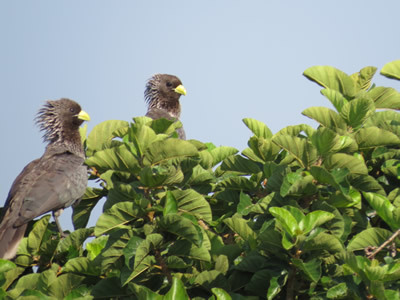 There are at least 4 different types of weaver birds nesting at different places on the compound. 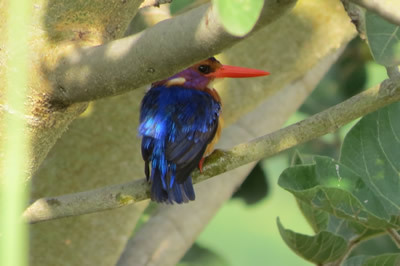 Other birds putting in occasional appearances include herons, storks, buzzards, ibises, kingfishers, owls, and many more! 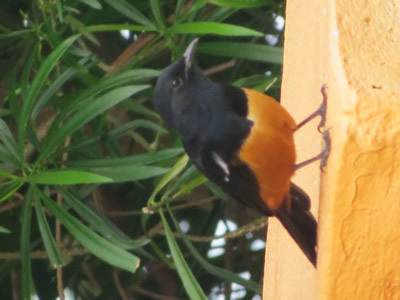 The below shots have been taken within the Katara Lodge compound or in the immediate vicinity.